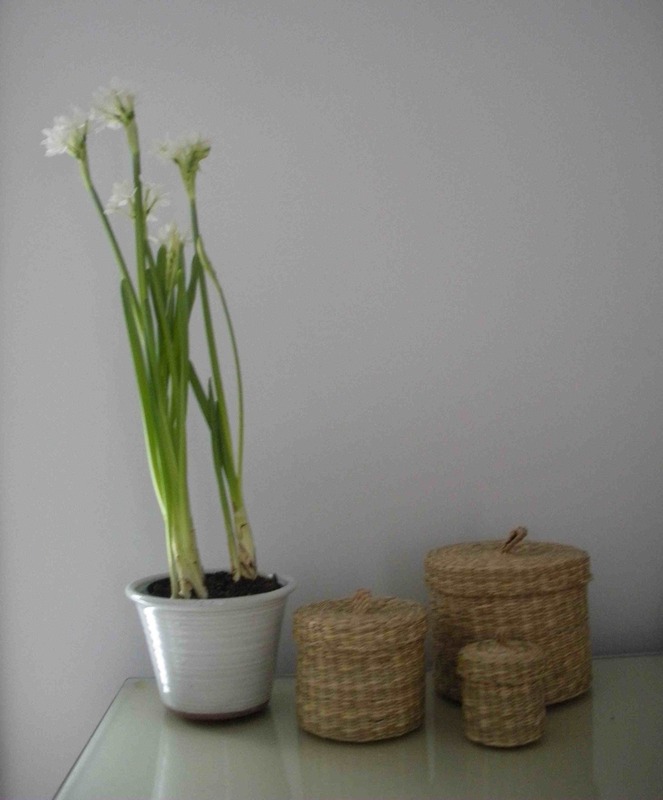 Paperwhites—maybe this captures the color of my repainted bedroom? Almost white, but with a touch of lavender. I love having blooms like these indoors. I also have a small pot of yellow narcissus in my living room. Remarkably, the cats have let them be—most likely because they’ve been busy ripping a cat-sized hole in the covering of my box spring. I couldn’t go to bed the other night because Hop was inside the box spring, howling as though he couldn’t find his way out again and shaking the bed as he scuttled around beneath me. Just as I was considering drastic measures—cutting a larger hole in the covering and pulling him out myself—he decided that the fun was over and exited on his own. No more cats in my bedroom now, ever. After several days of oddly warm and foggy weather, Madison has descended again into dull and lifeless gray. The snowbanks—which, even after several days of melting, are still two feet high—are now dirty, hard lumps of ice, the kind that worries me each time I pull out of my driveway and try to squeeze between them without ripping my Prius open like the side of the Titanic. I dented Ricky’s Prius this way several years ago.